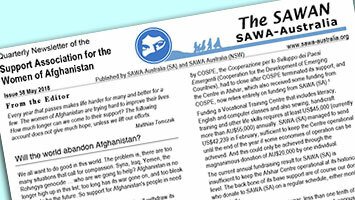 Our dear friends and supporters in Australia, The Support Association for the Women of Afghanistan (SA), just published May 2018 addition of their quarterly newsletter SAWAN which you can download from here. With thanks for covering some activities of OPAWC in this newsletter. Will the world abandon Afghanistan?